Whether you make frequent visits to your health care provider, or only see them once a year for a check-up, I believe it's important to keep your own records. I've shared a few medical printables before that you can find here, here, and here. Today I would like to share another freebie. 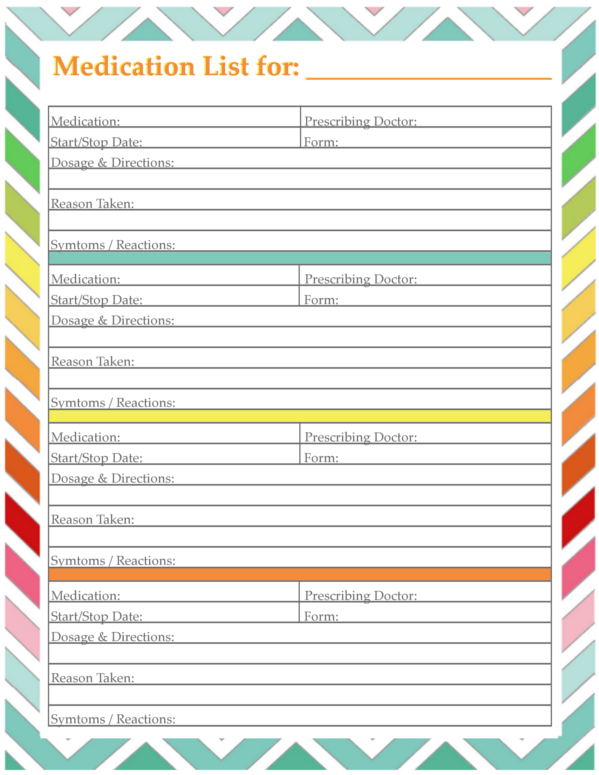 Use this medication list to keep track of any medications that you and your family members are currently taking or have taken in the past. I also included a section to record any reactions that you have to the medication. This is extremely important if you have a bad reaction to a certain medication. You'll definitely want to remember it in case your doctor tries to prescribe it again. Hope you enjoy it, and remember to leave any suggestions for future printables in the comments. Oh my. I can't believe I didn't notice that before. Thank you so much for pointing it out to me.